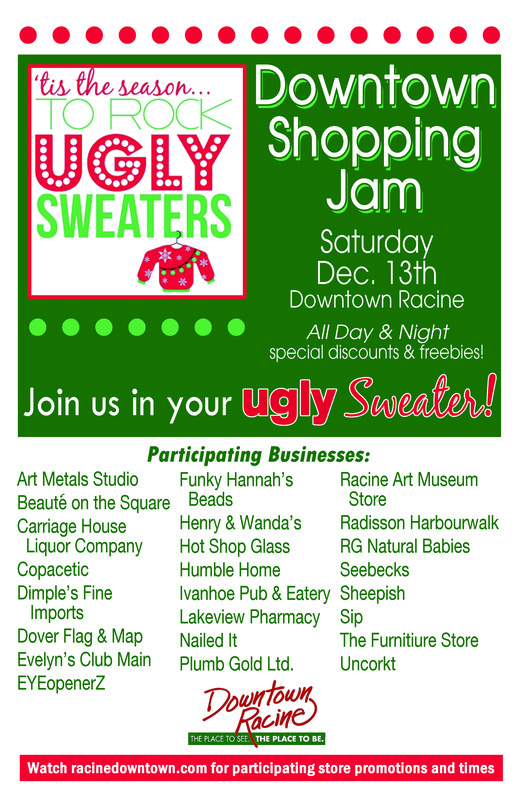 Dec. 13th – Ugly Sweater Shopping Jam! 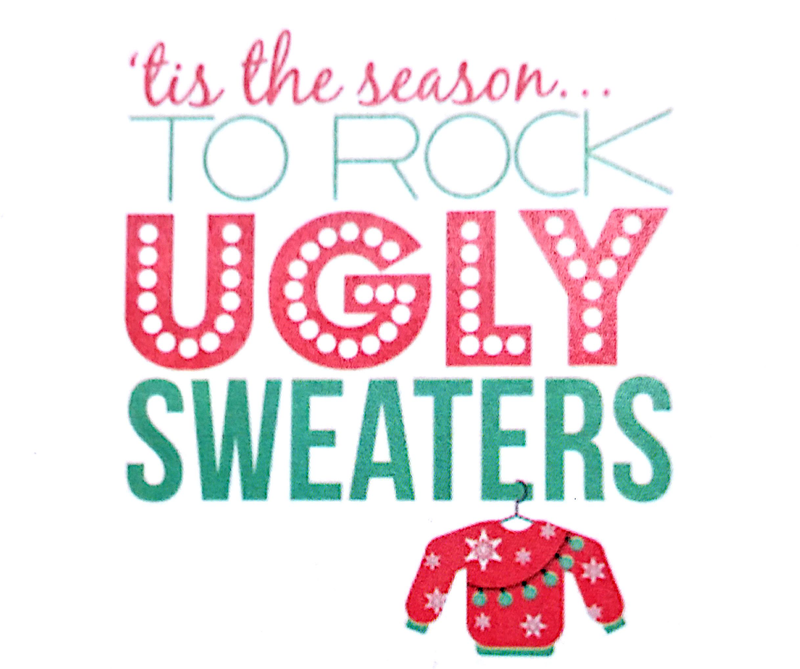 ‘Tis the season to breakout the ugly holiday sweaters! 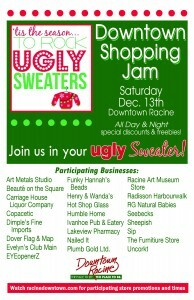 Join us for the annual Downtown Racine Shopping Jam – this year featuring the attire we love to hate (or hate to love?) Sales and specials can be found throughout downtown. At Funky’s, a free pair of holiday earrings to the first ten people making a purchase wearing an ugly sweater. Everyone gets a “holiday kiss” (Hershey chocolate!) to reveal their discount for the day! Check out all the fun downtown on Saturday! Of course we put the ‘fun’ in ‘Funky’….but our neighbors do a pretty good job too!